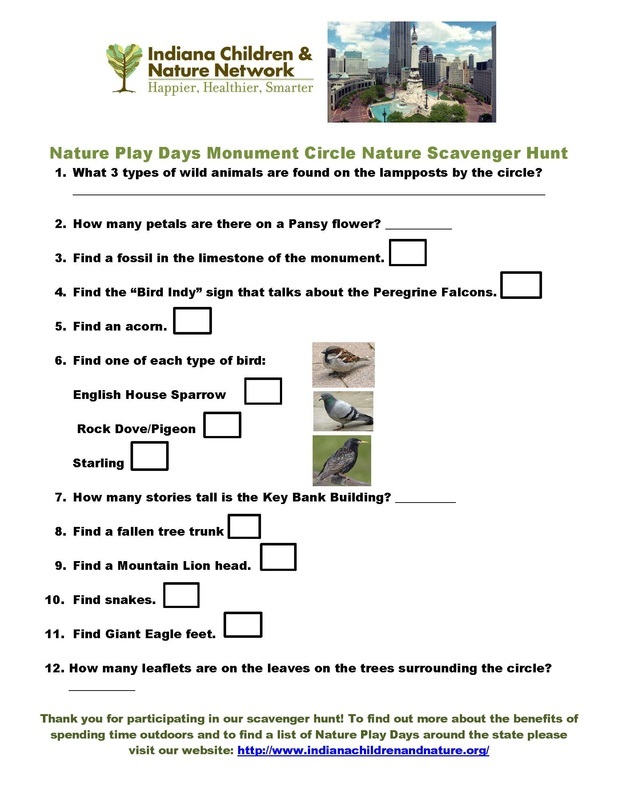 Meet us on the circle in downtown Indianapolis to celebrate the start of Nature Play Days! We will have fishing games, bird watching (maybe sight rare Peregrine Falcons in their nest box, live snakes, and more. Learn more about upcoming Nature Play Days around the state from steering committee members of the Indiana Children and Nature Network. Look around Monument Circle to find the objects below! Remember, nature is all around us, even in the heart of the city! Notice how nature and wildlife were integrated into buildings and other items around the circle! Download the scavenger hunt below!